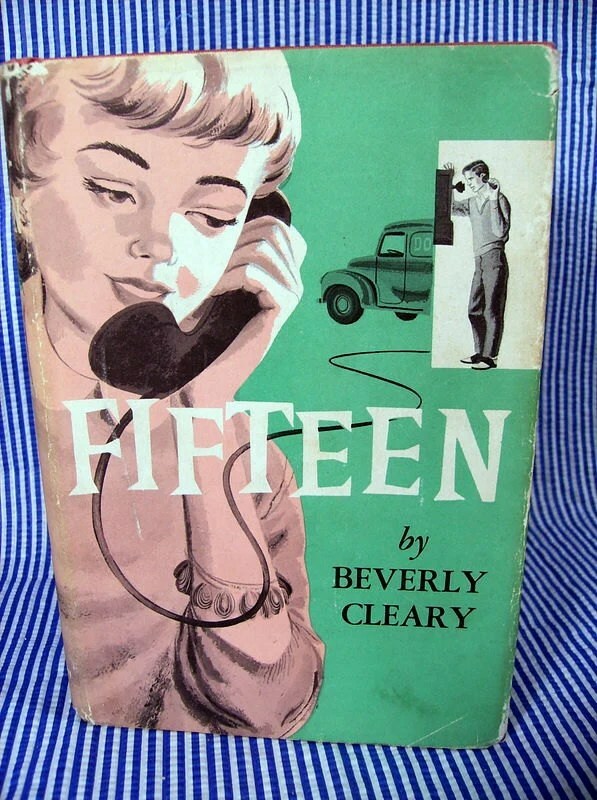 I love Beverly Cleary’s Ramona books, but I will always have more of a soft spot for Fifteen (1956), her sweet story about a girl’s first love. It was pretty simplistic and juvenile, but sometimes that’s exactly what you’re looking for. This book can still bring you back to a simpler time when a girl just wanted a boy to pin her with his ID bracelet, and you could tell how much a boy liked you by how shiny his shoes were. Jane Purdy is your average fifteen year old high school girl, growing up in California, who is still self-conscious and sees herself as very ordinary. She shudders at how her mother doesn’t wear stockings (parents just don’t understand! ), and covets a wardrobe brimming with cashmere sweaters – the latest thing at school. Before you dismiss her as too frivolous, be informed that Jane also babysits around the neighborhood, and it’s while minding the nightmare child of the block that she meets the already popular new boy in town – Stan Crandall. Stan is good-looking and older (16!) but he seems to like her too. Her first tentative steps towards romance take her to the interior of a Doggie Diner delivery truck, kissing on a bridge, Chinatown, and getting written about in the popular school newspaper gossip column. As Jane experiences the ups and downs of a first love, she grows up and becomes more confident – showing that no one really feels that ordinary at fifteen. This novel was a dream to read – so fun. I know that by today’s standards the plot is not very empowering and Jane is kind of passive (that’s my euphemism), but she fascinated me when I was a child, from the way she fastidiously plucked her eyebrows a few hairs at a time, to her brushes with being a bad girl (that kiss I mentioned earlier, don’t be shocked, involved money!). As shallow and silly as she sounded pining for more than one cashmere sweater, being slightly embarrassed by her childish princess dress (I didn’t think anything was wrong with princess dresses when I read it – which might have proven Jane’s point considering how old I was), being embarrassed by her parents, or being jealous of the sophisticated upperclassman, Marcy Stokes, for being blonde and “the cashmere sweater type” (you know, that girl), she was so relatable and honest that you couldn’t help but root for her. And who didn’t like Stan? Even though that name seems to have fallen out of favor lately, I still hear that name with a kind of thrill and imagine a boy with a dreamy Regent hairstyle like Elvis. I certainly didn’t mind that he drove a Doggie Diner truck. And the book was a treasure trove of information and fun facts. Among some of the gems I learned, the most useful was probably that gladioli are masculine flowers. Others include: Pig Latin is a useful tool for dealing with a wayward child, boys find it hard to dance with a girl who wears tight skirts, and little sisters are the best source of information about whom a guy likes. There were some problems with the book – the Chinatown interlude comes to mind – but taken as a whole it’s super wonderful. It doesn’t make you want to be fifteen again (I don’t think anything ever could), but it does make you want to read Fifteen over and over. I adore Beverly Cleary’s books, and she’s written some other teen romance stories that are also lovely, like Jean and Johnny or The Luckiest Girl. But Fifteen is my sentimental favorite. Thankfully it’s still in print, though some of the later editions have dreadful covers. I know that you shouldn’t judge a book by its cover, but that won’t change the fact that the cover might be hideous. But that should in no way deter anyone who wants to read the book – you can wrap it in a cashmere book cover and you’ll never know the difference. I am loving Dame Maggie Smith right now in Downton Abbey, and I can never see her without thinking of one of her best performances in one of my favorite films, The Prime of Miss Jean Brodie (1969). I had no idea, really, what it was about when I decided to watch it – I basically just knew that it was about Scottish schoolgirls and that was enough for me – so I was a little shocked when it went to some pretty dark places. But even so, I still think it was the crème de la crème. 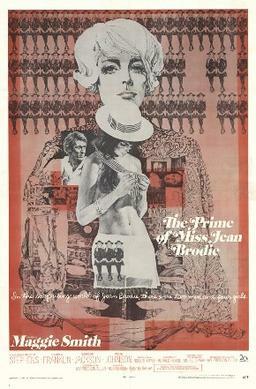 Set in 1930s Edinburgh, Scotland, the movie introduces us to Miss Jean Brodie (Maggie Smith), a teacher at the Marcia Blaine School for Girls and a woman who is self-professedly “in her prime.” She collects a coterie of girls, known as the Brodie Set, and introduces them to a life of the arts, culture, and fascism, exposing them to much of her personal love life along the way. Even after they leave her class and enter high school, they are still considered her girls and generally thought to be very precocious. Sandy Stranger (Pamela Franklin) is one of the foremost girls, being the cleverest and the close confidante to Miss Brodie, and her relationship with her teacher soon becomes super twisted as she comes into her own as a young woman, apart from Miss Brodie’s influence. I know that makes this movie sound pretty all-around downery, but that would be misleading. There were fun scenes with the girls doing silly school kid things, and Miss Brodie could be funny, especially with her hapless suitor, the music teacher Gordon Lowther (Gordon Jackson). And I always feel like eating crumpets after watching it. But at the end of the film I was haunted by one of Miss Brodie’s lines – “Give me a girl at an impressionable age, and she is mine for life.” This sinister motto colors the rest of the story for me, and so I can’t help but think of this coming of age story as more serious and much less light-hearted than, say, Daddy Long-Legs. 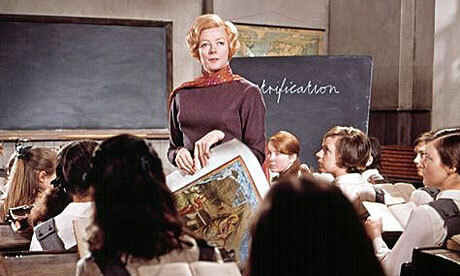 But Maggie Smith was beautiful and wonderful as the slightly demented worst teacher ever. I had only really ever seen her in Sister Act (no disrespect meant to that movie – I really liked it) so I was so wowed by this dramatic turn (which won her the Academy Award). And she also acted with her then husband, Robert Stephens (actor Toby Stephens is their son – I loved him in the Jane Eyre production from a few years ago) which must have been kind of weird. Stephens played the art teacher Teddy Lloyd, for whom Miss Brodie still has feelings and who gets a little too close to his students, particularly Sandy. Let’s just say there’s some adult content that took me quite by surprise. I probably liked Maggie Smith better in A Room with a View since the story was so much more enjoyable and I think she can be so funny, but I admit that Smith stands out here. The movie was based on the 1961 novel of the same name by novelist, Muriel Spark, and also to a certain extent the 1968 play adaptation by Jay Presson Allen starring Vanessa Redgrave. I of course rushed out to read the book once I had seen the film, and I would have loved the book even if I hadn’t seen the film. It’s hard to say which I liked better since they are so different to me – the Catholicism alone, you know. The plots are pretty similar, but I found the treatment of Sandy to be the most altered in the film. In the movie she is much more of the typical young adult heroine, while in the book I found her to be much less victimized and more bizarre and interesting. Plus, she had imaginary conversations with Alan Fairford, so of course I can’t help but fixate on her. 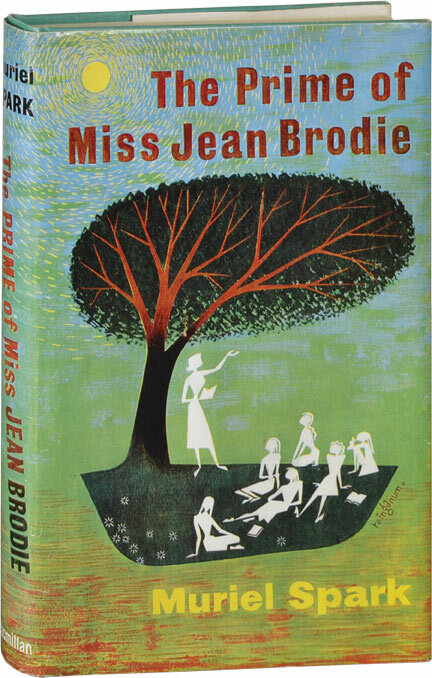 Though I am very fond of The Prime of Miss Jean Brodie in all of the iterations I have seen, I still have to say that I am grateful that I never had a teacher in her prime. There was no reason for me ever to read Maud Hard Lovelace’s Betsy-Tacy books, but a lucky chance threw them in my way and I got hooked. I was at my school’s book swap when I happened upon a pristine copy of Heaven to Betsy by Maud Hart Lovelace. You can guess what happened next. I don’t want to think about what it would have been like if I had never visited Deep Valley, Minnesota. The Betsy-Tacy books by Maud Hart Lovelace are set in the late 19th and early 20th centuries (just up till World War I) and center around Betsy Ray (really Elizabeth Warrington-Ray) who is based on Lovelace (Deep Valley is a stand-in for the author’s hometown of Mankato, Minnesota). 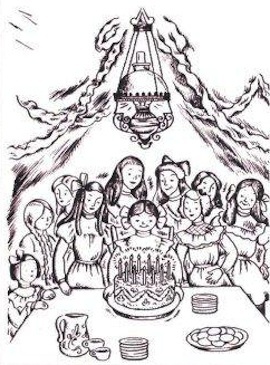 The books begin with Betsy at 5 and continue until her early 20s, and deal with her family (her parents and her musical and dramatic older sister, Julia) and friends (especially Tacy, her very best friend) in Deep Valley. These books are like the more popular Anne books in that they are charming slice of life stories about a small town and an imaginative and inquisitive girl who often embarrasses herself, but always endearingly so. I was so taken with these books as a child, I think even more so than with the Anne series, possibly because Betsy was always a little trashier and more shameless than Anne Shirley. She got into trouble with her father for reading trashy dime novels, she did stupid things like spelling her name “Betsye” for a spell, and she was shallow and aspired to be like famous actresses – I too tried to perfect my Ethel Barrymore droop for a very long time (which I do not recommend – very bad for your posture, you know). There were 10 books in the series (written from 1940-1955) along with three other Deep Valley books which were about other characters. The copies I read had the Lois Lenski illustrations which I also loved – vaguely creepy, but still delightful. Of course the books had their fair share of strange storylines – such as Episcopalian conversions, interactions with Little Syria, semi-abusive boyfriends, and obsessions with King Alfonso of Spain – but I think that only made it more thrilling. I desperately wanted an accordion pleated dress like Betsy’s other friend, Tib, and I loved the Rays’ maid, Anna, who used to work in a real tony home full of real puny people. I was particularly fond of Betsy’s high school years (which start with Heaven to Betsy), and I don’t even blame them for giving me a very wrong idea of what high school would be like since they were so fun. She had a “Crowd” (always capitalized) that did weird things like chant “Tall Dark Stranger” and start sororities that got all of the members in trouble. But I mostly loved that period because that was when she met Joe Willard, the handsome and clever orphan (he was not exactly based on Lovelace’s husband, the author Delos Lovelace). I vastly prefer Joe Willard to Gilbert Blythe (he is a newspaper man, you know), and for the longest time I wanted to go into a shop and have a conversation about The Three Musketeers and sharp cheddar cheese – that was quite an exciting scene in the book. I don’t think there have been any film or tv adaptations of these books, but there is an awful movie which has nothing to do with these wonderful books, but happens to share a title with one of them – Betsy’s Wedding (1990). It’s not even funny how many times I was tricked into starting to watch this just because of the title. After the second time this happened – shame on me. I know I’ve made it sound that these books are not so well-known, but these books (still being sold) aren’t so obscure. Meg Ryan mentioned them in You’ve Got Mail, after all. You are one of the most fun but inappropriate books I have ever read. 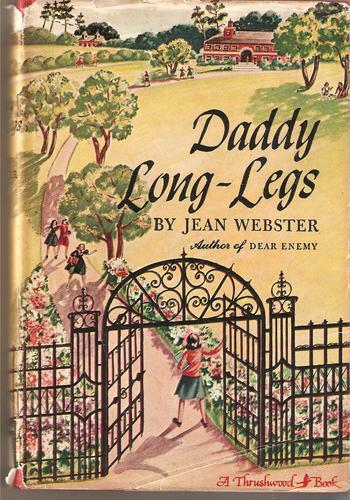 Daddy Long-Legs by Jean Webster is a classic epistolary novel about a young girl’s first experiences with life and love. Judy (née Jerusha) Abbott is an orphan at the John Grier Home who gets an incredible opportunity: one of the trustees of the orphanage has decided to send her to college and will spare no expense. The only payment she must render is a letter written to him, care of his secretary, once a month describing her experiences. The novel is a series of her letters to the man she dubs “Daddy Long-Legs” and chronicles her life in college and the world at large. If I think about it too hard, I have to admit that the book is super wrong on so many levels, but as I read it it’s so much easier to focus on the super fun things – making fudge, buying kid gloves and dresses, or going to New York to buy hats – and forget the novel’s problems. This book is in the tradition of other “girl” or “college girl” books such as Webster’s other book, When Patty Went to College, or Maud Hart Lovelace’s Betsy-Tacy series. I was also reminded of Anne Shirley’s Redmond College years in L. M. Montgomery’s Anne of the Island. The book’s popularity has spawned quite a few adaptations around the world, including the Nippon Animation tv series My Daddy Long-Legs (Watashi no Ashinaga Ojisan) and the 2005 South Korean film, Daddy Long-Legs (Kidari Ajeossi). I’m also fascinated by Webster’s life, and not just because her Daddy Long-Legs was semi-based on her experience at Vassar. She was Mark Twain’s niece, and also had a long affair with a married man, the Standard Oil Company heir. Daddy Long-Legs, indeed.